Check This Out, This Invention Could Change The World. Now-a-days everyone wants to go green and help safe the environment. They also want to have an energy source that is renewable and clean. Well this couple may have figured out a way to make sustainable living a real reality. What did they do to make this possible? 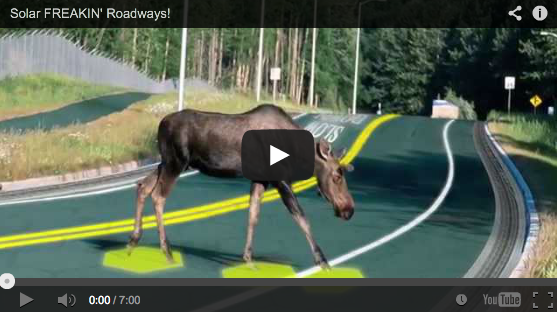 Well they invented something amazing which they refer to as Solar Freaking Roadways. This technology would replace every roadways, sidewalks, recreation areas, parking lots, etc. with solar panels. Now these solar panels won’t be boring solar panels either. They will have micro processing units and LED’s that can be programmed to create patterns on the surfaces of the hexagonal shaped pieces. Yeah that’s another thing too, these solar panels are comprised of different hexagonal pieces that interlock together. Now let me tell you what both of those things mean: First it means that we won’t have to repaint any roadways or recreational areas ever and secondly it means that is a piece of the road gets cracked or becomes unresponsive all you have to do is change out a piece of the road instead of paving the whole thing over. This would greatly decrease traffic congestion and make visibility a lot better at night. Now that’s just the smaller plus side. The biggest benefit of course is the fact that they are solar panels. 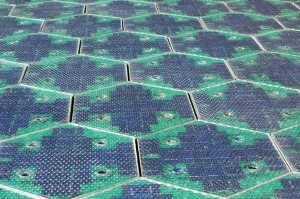 If every roadway was replaced with solar panels we would produce three times the amount of energy that we use per year. That would replace our need for all fossil fuels, including gasoline. Car companies could make cars that would be charged by these roadways as you drive or even in your driveway when your at home. The video below goes into even greater detail about how these could change everything. So check it out below and if you like the idea check out the Indiegogo campaign that is trying to get this initiative off the ground. If You Love McDonald’s Hash Browns You Must See This! !